I really, really liked this series. After I saw some reviews I wasn't sure if it would be worth it to buy it, so I borrowed it from a friend (I'm glad I can haha! ), but it was really good! I don't think I will reread it though, because then I wouldn't be as hooked as I was now and the things that happen will stay with you. There were only two parts in this series that were slow for me and also not that great: the beginning of the second novella (2.5, called Fracture Me), because that was just a recap of the last part of the second book, but then in a different point of few and it seemed pointless to me. However, I liked the 1.5 novella and the last part of 2.5 is still really important, so if you're going to read this series I highly suggest to read the novellas and even read them in between the novels (just as they'e supposed to). If you don't read them you will miss out a lot in the upcoming novels. The second part I didn't like that much was the first third in the second novel. That part was really slow and a bit annoying, but after that it got much better. While I was watching some reviews I saw that some weren't that found of Juliette, but I really liked her character development oh and that Adam vs Warner thing: why do readers still choose between a triangle in a dystopian series? That's not the most important thing that happen in dystopian series haha. Ps. I liked that part of Juliette as well. Overall this was a great and unique dystopian trilogy and if you haven't read this one yet but still want to read a dystopian series: please read this one! I love the unique aspects and plottwists a lot (and the writing style, I can't even!). Now I'm not so sure which dystopian series I'm going to pick up next (whenever I'm in the mood to read one), because I've read all of these: The Hunger Games, Divergent, Chaos Walking, The Darkest Minds (didn't like TDM that much) and this one and I have no idea what to read next. I'm not that interested in The Maze Runner or Uglies (convince me if you think I should). What is your opinion about the Shatter Me trilogy? 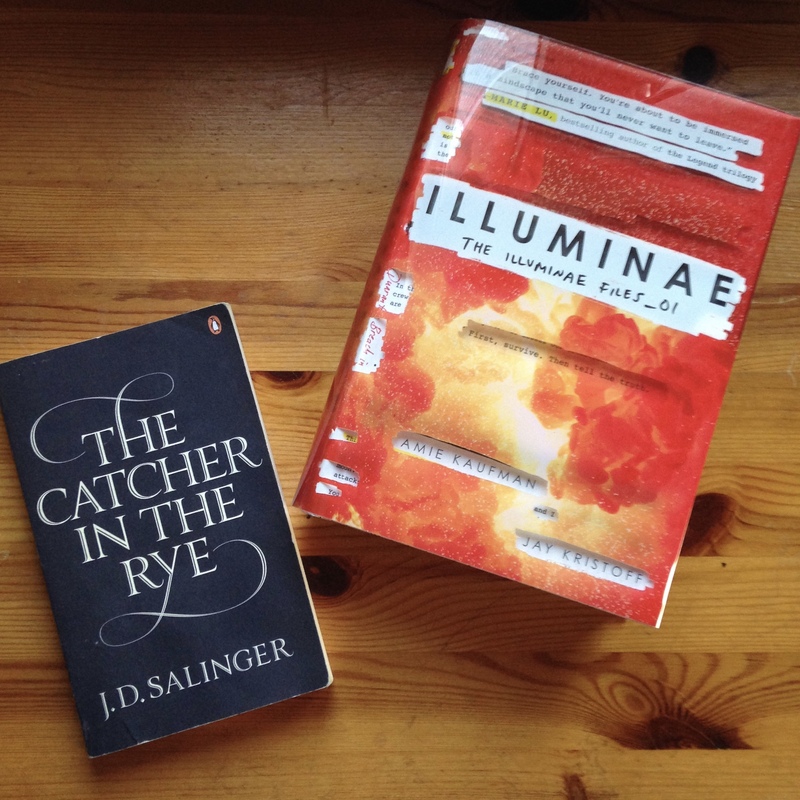 The Catcher in the Rye is the one I got from my boyfriend's dad and I'm so excited to read it! I love children's classics and I didn't own a copy of this one yet and it's on the Rory Gilmore reading list so yay! I wasn't planning on buying Iluminae anytime soon (I'd like to read series when all books are already out), but it was so cheap on Amazon.de and the next book comes out in October (and that one is very cheap as well, considering those are hardcovers) so I decided to buy it. I also cannot wait to read this one! Ps. I also haven't been posting that many reviews lately, but that's because I'm reading a series and I wanted to do a full review when I'm done with it. I'm currently reading the Shatter Me trilogy and today I started the last book in that trilogy (Ignite Me), so a review will be up in two weeks I think. What are you recent purchases? Though criticised for their anarchic immorality when first published, Hans Christian Andersen's tales made him an international star, taken to the hearts of children and adults for their beauty, sorrow and strangeness. Included here are 'The Steadfast Tin Soldier' and 'Big Claus and Little Claus'. There are six fairy tales in this collection: The Tinderbox, Little Claus and Big Claus, The Princess on the Pea, The Steadfast Tin Soldier, The Nightingale and The Red Shoes. Out of those fairy tales I liked The Tinderbox and The Steadfast Tin Soldier the most. I just wished they would have included his most famous fairy tale: The Little Mermaid. However, this is a great collection if you don't know where to start with his work and are not sure yet if you want to read all his fairy tales. 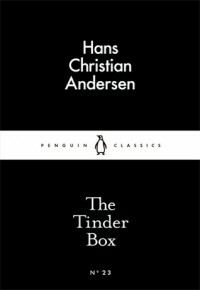 What is your opinion about Andersen? What is your favorite fairy tale by him? Who has not dreamed of life on an exotic isle, far away from civilization? Here is the novel which has inspired countless imitations by lesser writers, none of which equal the power and originality of Defoe's famous book. Robinson Crusoe, set ashore on an island after a terrible storm at sea, is forced to make do with only a knife, some tobacco, and a pipe. He learns how to build a canoe, make bread, and endure endless solitude. That is, until, twenty-four years later, when he confronts another human being. First published in 1719, Robinson Crusoe has been praised by such writers as James Joyce, Virginia Woolf, and Samuel Johnson as one of the greatest novels in the English language. I saw the famous movie adaptation when I had philosophy class (a few years ago) and I loved it back then, so I decided to buy the book and read it. Honestly I was disappointed. The book is so different than the movie (usually I don't mind it that much); the plot was totally different. Even the writing style and story was super boring to read. I compare it to The Martian, so if you loved that one, you might enjoy this one too. But it's less funny (much less funny) and just meh in my opinion. I got one third through and decided to def it. If you liked The Martian I would give it a try, but if not than is that not worth to try. 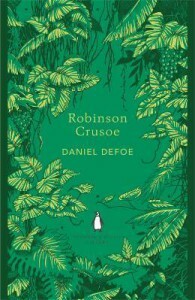 What is your opinion about Robinson Crusoe? Should I continue or not? There are three short stories in this collection and this time I decided to show you a really short summary of each one, with my short opinion about and after that my opinion about the entire collection. I love the first story (A Nervous Breakdown)! This story is written so beautifully and I love the moral in this one! about a man called Vasilyev. His two friends bring him to a famous prostitute street, but all he can see is how disgusting and wrong that business is. He thinks about it all the time and doesn't understand why this is still a thing and would love to stop it (like why could men think it's okay and see women as animals? ), 'cuz he only wants to be in love with a woman. He tries to think of a plan to stop this business, but then gets all mad and gets a nervous breakdown. His friends try to help him but also think he's kinda crazy. The second story is called The Blank Monk, which is about a man who is bored with life and gets kinda crazy (a black monk ''comes by'' and gives him all the answers about life in general and how to be happy). I really liked this story, the only that bothered me though is why we never get to know what was in the letter at the beginning of this short story. I think that would have made the story even better, if it was explained (even if it was just a little). The last story, called Anne Round Your Neck was awesome too. It's about an eighteen year old girl marries a fifty-two year old man, just because of his money, but she realizes that money shouldn't be the only thing to marry a man..
Again I loved all of the short stories. 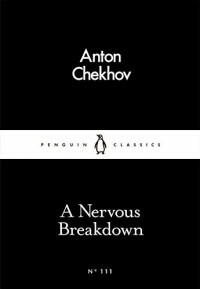 Penguin has done a great job when it comes to Anton Chekhov so I highly recommend his both little black classics. It made me want to read more by him now. Have you ever heard of Anton Chekhov and if yes: have you read something by him? What is your opinion about his works? There are also some other authors I would like to buy their entire collection or atleast some of their books from, like Sarah Waters (need to buy the last four books), Stephen King, Ray Bradbury, F. Scott Fitzgerald and Charles Dickens, but those aren't at the moment not high on my list. Some authors I haven't read anything by yet and maybe would like to get are Thomas Hardy (I only own Far From The Madding Crowd by him but haven't read it yet), Edith Wharton and Daphne Du Maurier, but we shall see. There are even more authors out their that I don't own anything from yet and would like to get to at some point haha (the list is endless). Do you like to read everything by one author? If so which ones are your favorites and which ones would you like to get/read soon? I like the conclusion to this series, but that's all I can see about my opinion. 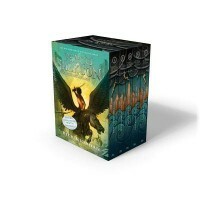 (If I could still rate in in comparison to the rest of my ratings of this series I would give the last book 3.5 stars). This series is just a series that you either love or just appreciate, and I ''just'' appreciate it. I admire Rick Riordan as an author and he has done an excellent job creating this world, especially with all the mythology in it, but it was sadly enough my cup of tea (anymore). I know it's middle grade and mostly I don't mind reading books when a character is much younger than me, but I honestly think that this series really is for middle grade readers (I know older reader love it too though, but sadly enough not me). The thing for me was that I just don't like fantasy stories that much anymore (which I already knew, but I still wanted to read it). I still recommend it to everyone who (still) likes to read fantasy and/or about mythology. I just wished I read it when I was a lot younger. What is your opinion about this series? Every since Karina E on Booktube talked about The Sandman I wanted to read it. My plan was to read it in senior year of high school for my German class, but I never did it (because I choose other books). Now that it's out in English and in this edition I decided to finally pick it up. The Queen of Spades sounded also interesting and because I saw these little black classics in a super cool bookstore (so I could look through all of them) and because they were the same price as online, I decided to pick up that one too. 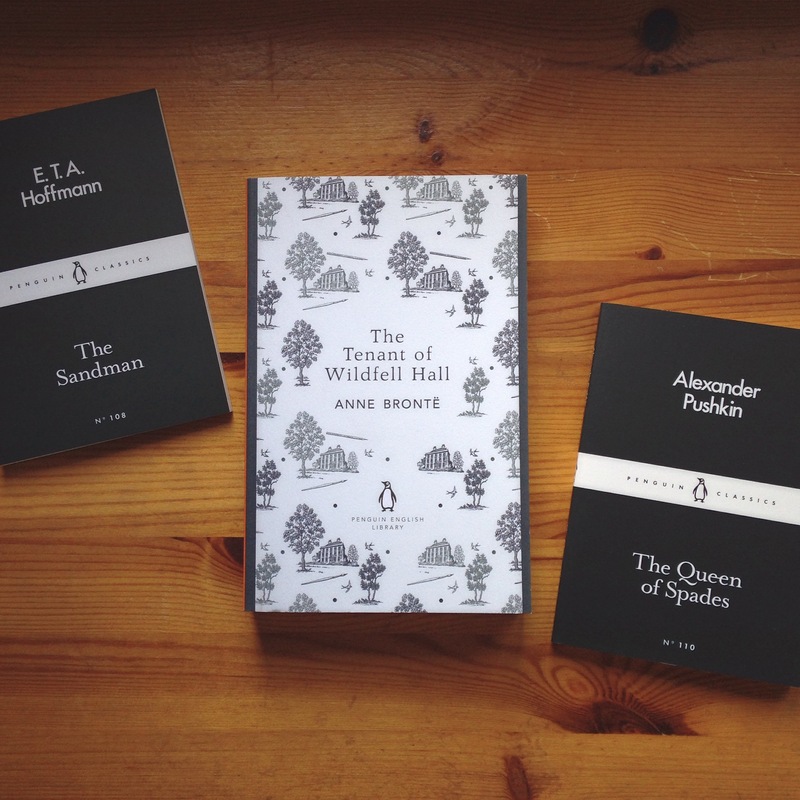 The Tenant of Wildfell Hall is a book that has been on my wishlist ever since I read Jane Eyre (because I want to read all of all the Brontë's works) and a few booktubers have been reading it this year as well (which made me want to read it even more). Most of the time this book was a bit more expensive than the regular english libraries, but now it was a lot cheaper so I couldn't resist. 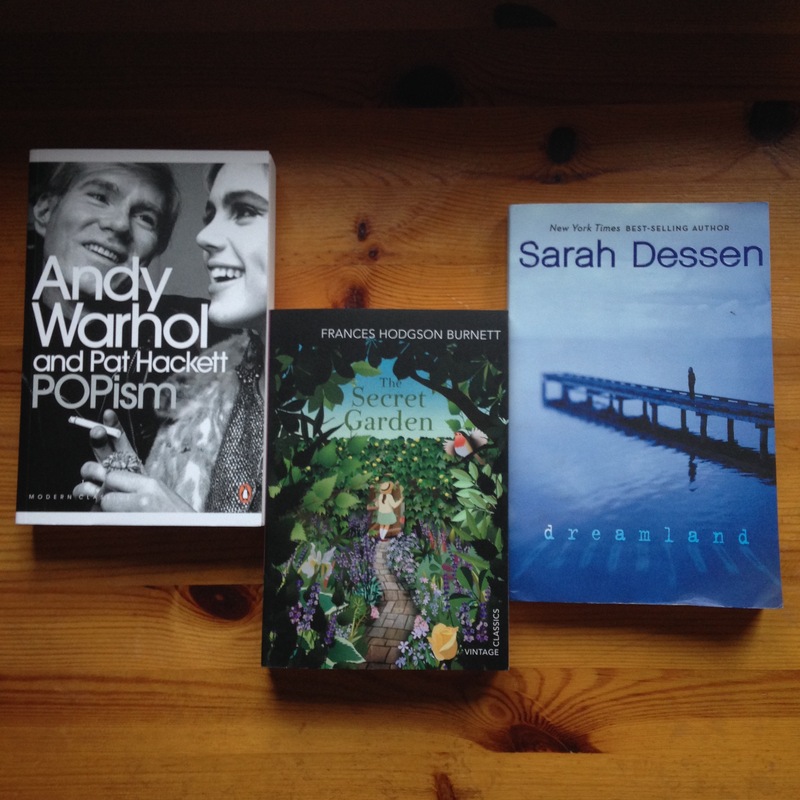 What books have you recently bought? I know the summary doesn't say too much about the story, but first I have to say that I absolutely loved this book and for the exact reasons it says in the summary. This book has become one of my favorites! - It's a coming of age story and has some aspects like Jane Eyre (only that becoming of age part to, as far as I could get from it). - Towards the middle of the book was not that appealing in my opinion and sometimes even boring. I still really recommend it to everyone and if you haven't read it yet: please do! I'm also thinking about watching the movie (I watched like ten minutes or so), but I'm so not used to black and white movies (that's not an excuse, I know) and I have no idea if it's as good as the book, but I don't want my opinion about the story to change after I've watch the movie adaption. 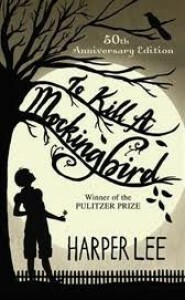 What is your opinion about To Kill a Mockingbird? Should I watch the movie adaptation or not? Just a few minutes ago I realized something: why do we even rate books? 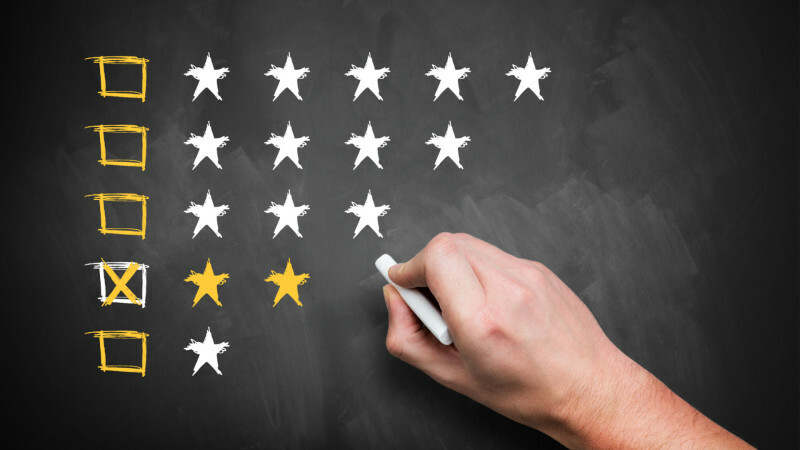 How can we compare totally different stories and say we give the other one a higher rating, even though the other one was much more fun or important? Did you ever look at the books you read a few years ago and realized how much your taste have changed and that maybe those ratings aren't even ''correct'' anymore? Those are some questions that I have and those are the reason why I want to stop rating books. Also, when you read a book and you tell your friend or a relative about it, you don't say oh I gave it four stars, but you just explain why you liked it and why you recommend it or not. So from now on I'm going to stop rating books. I wanted to tell you this because it will be a big change in my reviews and also on Goodreads. I also want to stop making wrap-ups. I mean, why are they there? Just to be proud or ashamed of how many or less books you've read in a month? Reading is for fun and that's how it should be. I don't want to make a pile of those books I read in a month and show it off and see how ''less'' I read (I think this also happened because I want to read all the unread books I own and I feel overwhelmed when I see how many (just 50) unread I own and want to get to them so badly, but I just don't get to them because I read so ''less). I just want to review the books I read and tell you guys if I recommend it or not, just like I would do to a friend. So I will only show hauls and reviews here, so I can look back to the two things that are most important to me when it comes to reading. I hope that with these changes I can have more fun with reading again and that I don't have to think about ratings or to how many books I can get to in a month (with that I mean being disappointed in myself because I want to read all the books I own or when I didn't stick to my tbr plan). 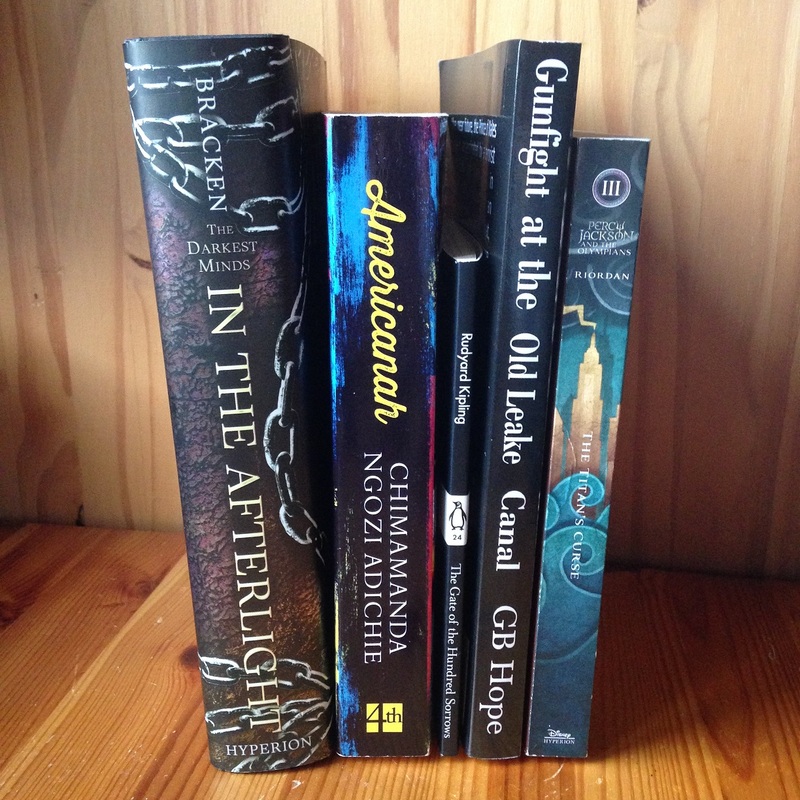 What did you read in July and which one was your favorite read? Because I got accepted to a new school (I'm going to study Media Design! Which is all about coding, editing, photoshop, etc. etc.) I decided to pick up a book about a special art form: popism. POPism seems really interesting, so I cannot wait to read it. The Secret Garden is one that has always been interesting to me, so I picked it up (also because the Vintage Children's Classics are just really beautiful and I want to expand that collection). 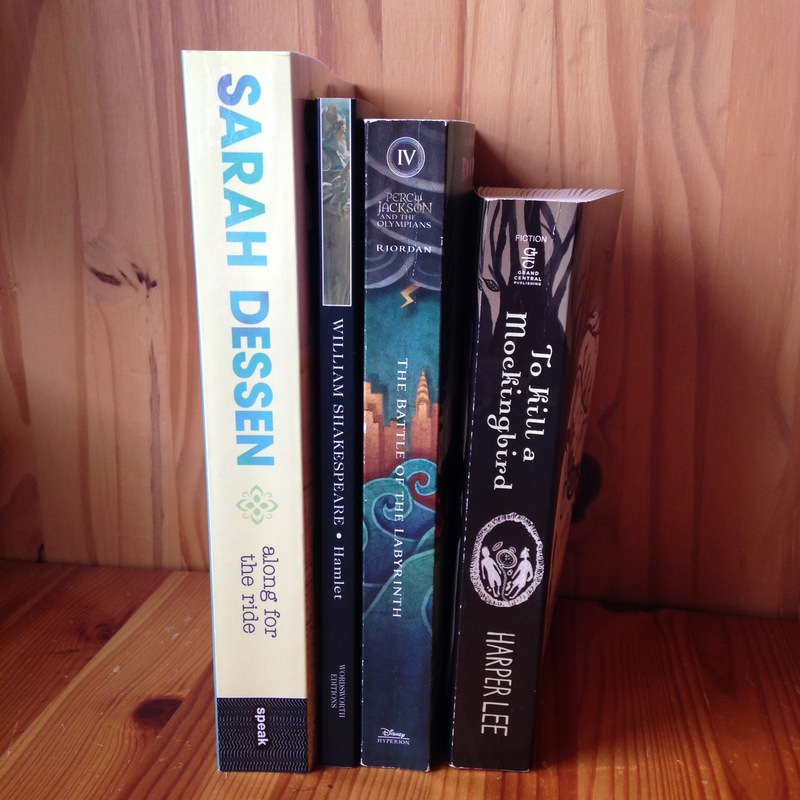 Dreamland by Sarah Dessen was one of the only ones that I had to get (and wanted) in the old edition, so now I have all books from That Summer 'till Lock and Key in the same edition. I don't mind if her newer ones will be (because I already own Along for the Ride in the new edition) in the new edition, but I really wanted her old ones to match. I've been looking for over a year for Dreamland in this edition and now I finally have it. It's secondhand and a bit damaged, but for only 4,55 euros I can't complain. This summary has some spoilers in it from the previous books, so that's why I'm not showing it to you guys. While reading it I had a feeling between liking it and really liking it, but I wasn't obsessed. It took me more than ten days to read a book that only has 360 pages, so that says something. This is why I give this novel 3,5 stars. I still really appreciate this series and recommend it. I cant't say much more because it'll spoil the previous books too. If you like Harry Potter and the Goblet of Fire, I'm sure you'll like this book in this series too. Unfortunately that was/is my least favorite book (I still like all Harry Potter books, of course, but I've never been a fan of tournaments and sports events), because there were quite a few elements that were similar. What is your opinion about this book? I really liked this play and especially Hamlet. While I was reading this edition, I found out that there's a modern version on Sparknotes, so I decided to read that one instead. It's so much easier to read and understand and those are the reasons that it also reads a lot faster. I also like the morals like you're not going to marry twice and especially not so soon after the first husband dies, it deals with de choices and decisions about being human and also about revenge (of course). Those are the reasons why I don't think this play is over the top or overdramatic (like Romeo and Juliet is compared to a bad mtv tv show) so I really liked this one! I just can't give it 4.5 or 5 stars because I wasn't hooked or blown away by it. Still really liked it and I also highly recommend this one! 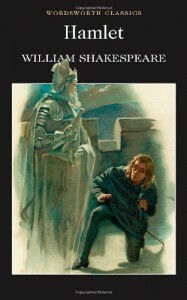 What is your opinion about Hamlet? Nights have always been Auden's time, her chance to escape everything that's going on around her. I loved it! It's so relatable to everyone I think (especially to me, except for the divorce thing) and everyone will have something that happened in this book that they can relate too. It was also fast paced and cute and easy to read (it got me out of my reading slumb). The characters were all really awesome as well. I can't see much more, because it'll spoil you. If you want to read an awesome summer read: pick up this one! What is your opinion about Along for the Ride and which one is your favorite Dessen book? The author was being weird while I was reading Gunfight at the Oldlake Canal and because I didn't love it that much I decided to dnf it. If an author acts weird and not that kind, I can't seperate the book from the author. Maybe I'll pick it up in the future and finish it, but at the moment I have no desire to do so. You also might be wondering why I still haven't picked up A Court Of Thornes and Roses, but I decided to allow myself to read only one series at a time instead of two. This because I read so slowly atm and I want to remember everytime much more which means finishing a series faster than I did before. 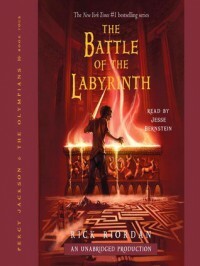 I want to start that series after I've finished Percy Jackson and the Olympians. I read a bit more than in the months before, but in my opinion still not that much (that's also because of tv shows like OINTB and because of a happy personal reason). However, I finally have a future again when it comes to school/work but that'll start in September, so I have now much time to read because I don't have to worry about anything anymore atm. Next month I hope to read The Kite Runner, To Kill A Mockingbird, Along for the Ride, The Adventures of Tom Sawyer and much more, but we shall see. Vienna has read 17 books toward her goal of 30 books. Vienna has completed her goal of reading 17 books in 2017! Vienna has read 0 books toward her goal of 50 books. Vienna has read 1 book toward her goal of 52 books.